Yes, I’m a busy mama bear to three little cubs. But, the truth is I was waiting for a big, bright light to shine my way for my last day of my 30 day writing challenge. And it never happened. I expected there to be glorious fireworks or some epiphany at the end of my 30 day challenge. But it didn’t happen. So, I wrote my Standby post to buy some time and waited. Yes, I got busy visiting my parents this past weekend with my three little peanuts in tow. Yes, I’m on a 15 night stretch with my three little angels. Yes, my 7 year old got braces and an expander put in on Monday. Sometimes the end isn’t shiny and cute. Sometimes there isn’t a big flashy bang at the end. Sometimes, it’s a soft whisper with low light. And the best part is the attitude you keep. I’m glad I did a 30 day writing challenge. It was outside my comfort zone but very doable. It made me focus and dip into my creative side which can disappear when I get busy. Hands down, my favorite part was connecting with all the people that I don’t normally get to connect with. We’re all busy and it’s hard to stay connected but writing everyday gave me that link. So, thank you for your encouragement, messages, private messages, emails and texts! I loved getting to hear your story so much. Here’s a few things I did that were inspired by my 30 day blogging challenge: I upgraded my yoga membership to unlimited. During my challenge, I would wonder why I’m doing this challenge at all or on the weekend, don’t I have enough stuff to do?! One or two days off would be so nice. Then I’d write, post it and the weekend would pass and I’d forget all about it. Like many things in life hindsight feels different than when you’re in it with your sleeves pulled up handling it. So, my friends my heart is full and my pocket is full of sunshine. Happy Day 30! Seems like yesterday I came up with this lil idea. Here’s to handling life with grace, humor and lots of connection. This entry was posted in My New Normal, thrive and tagged 30daychallenge, adventure, airplane, crew, crewlife, flight, flightattendant, flightattendantlife, fly, hotyoga, humpday, identicaltwins, mamasboy, momlife, momof3, myloves, parenting, pdx, pilot, pilots, portland, realmom, realtalk, travel, truth, twinmom, yoga, yogalover on April 11, 2018 by babymama3pdx. I didn’t know that life balance while being a mom would be so complicated. I didn’t know that life balance while being a single mom would be SO COMPLICATED. There’s the normal mom guilt and then there’s the single mom guilt. Which goes above and beyond. Taking the streetcar to Aunt Tiff’s birthday. This is me operating at 100. Working and making lemonade. I will continue to teach my kids how to improvise and make lemonade because I think it’s important in life. Whether I like it or not, the show must go on. So to all you moms out there, single or not, GOOD JOB! Keep going, and keep taking care of the mother ship. 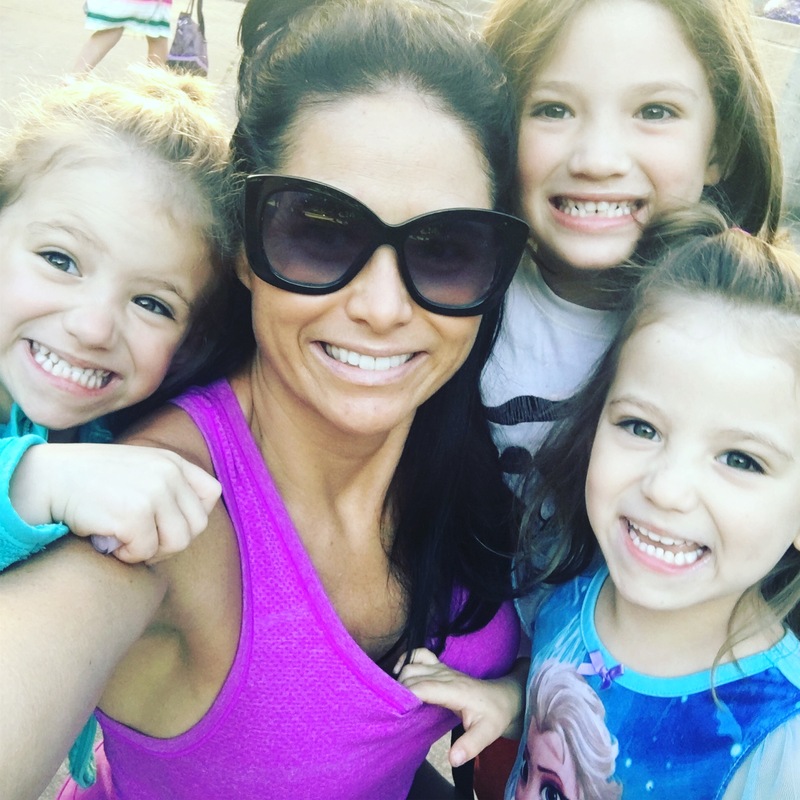 This entry was posted in momlife, My New Normal, single mom, This is 40 and tagged balance, divorce, flightattendant, ilovemykids, kids, meditation, momblog, momblogger, momhustle, momlife, momof3, myloves, parenting, pdx, portland, singlemom, singleparent, thisislove, yoga on April 6, 2018 by babymama3pdx. Yes, I’m in a committed, love relationship with yoga and it’s going great. We like to see each other everyday but sometimes we have to miss a few days. It only makes our reunions that much sweeter when we do see each other. If I could I would see hot yoga everyday but I’ll take what I can get. Chilling in Maui post run and yoga Teeny, tiny smile post hot yoga class. Happy on the inside but totally wiped out. I don’t always want to do yoga or feel like I have time to do the yoga. But love doesn’t flourish without lots of quality time and attention so I make the time. I’m not flexible at all…And hot yoga feels really awful for part or all of the class every.single.time. Yesterday I ate a cafe yum bowl about 45 minutes before hot yoga and regretted it throughly for the entire class. What you eat, drink, don’t drink can affect your hot yoga class with the intensity of a full body regret. This entry was posted in momlife, My New Normal, single mom, thrive and tagged 30daychallenge, airplane, fitmom, fitness, flight, flightattendant, fly, freedom, hotyoga, identicaltwins, love, momhustle, momlife, momof3, montessori, pdx, portland, portlandoregon, realmom, realtalk, selfcare, sparkle, travel, twinmom, Twins, workingmom, workout, yoga, yogalover on April 3, 2018 by babymama3pdx.